Repair Heat Exchangers | Valutech Inc.
Recondition heat exchanger with unmatched quality, consistency and predictability – these are traits that you want and expect of the technology you depend on. Whether it be the backbone of your business or the comforts of lifestyle, all the little things need to be humming along before you can focus on the big picture. 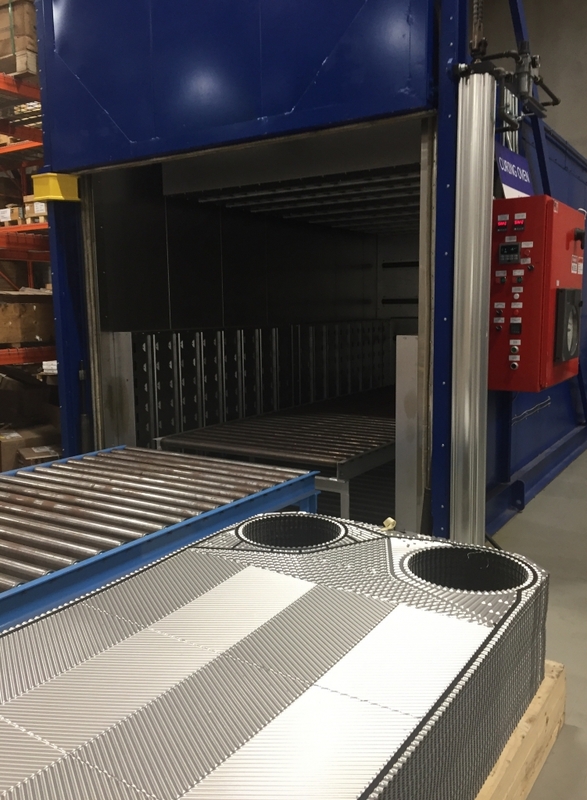 With scheduled reconditioning for your Plate Heat Exchangers, efficiency and profitability become a matter of fact instead of a nagging, recurring question. Repair heat exchanger using Valutech’s comprehensive process takes place in Alfa Laval’s state of the art ISO900 facility right here in Scarborough, Ontario. By keeping things local, downtime and shipping costs are kept to a minimum; and thanks to our partners in Alfa Laval quality control is at a maximum, with parts and processes designed to recondition your Plate Heat Exchanger regardless of make and model. 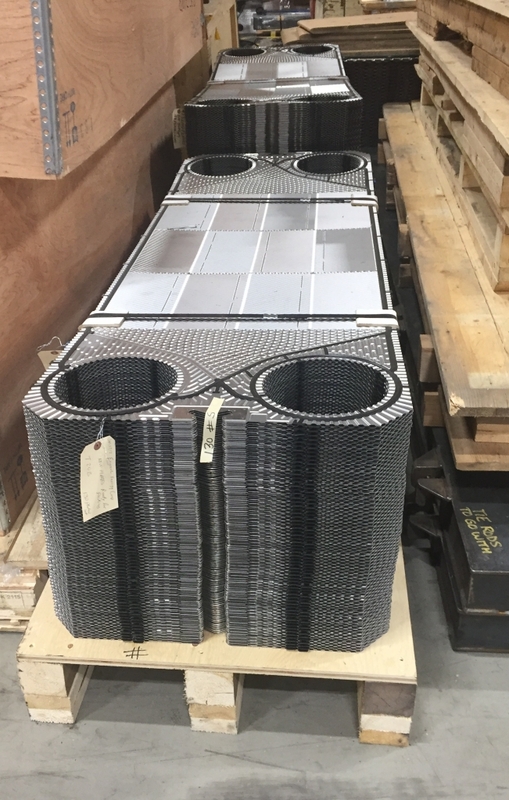 Valutech is able to service and regasket not just Alfa Laval (Vicarb) and Tranter, but all variety of Plate Heat Exchanger brands such as: APV, Armstrong, ITT, Sondex, Swep, Polaris, GEA, and Schmidt-Bretten. At Valutech, we understand the need for affordable parts and quality service. 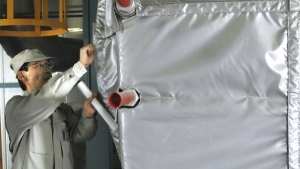 Our partnership with Alfa Laval means that you can rest easy every step of the way, knowing that your units are in the hands of trusted Ontario based technicians that come backed with an international reputation for heat transfer, separation, and fluid handling. Our reconditioning procedures are specifically tailored to clean and service your unit’s components while simultaneously retaining the integrity of the plates. Specifically, in the case of Plate Heat Exchangers, fouling commonly takes place in between plates—with metallic corrosion occurring within the grooves of the metal corrugation. 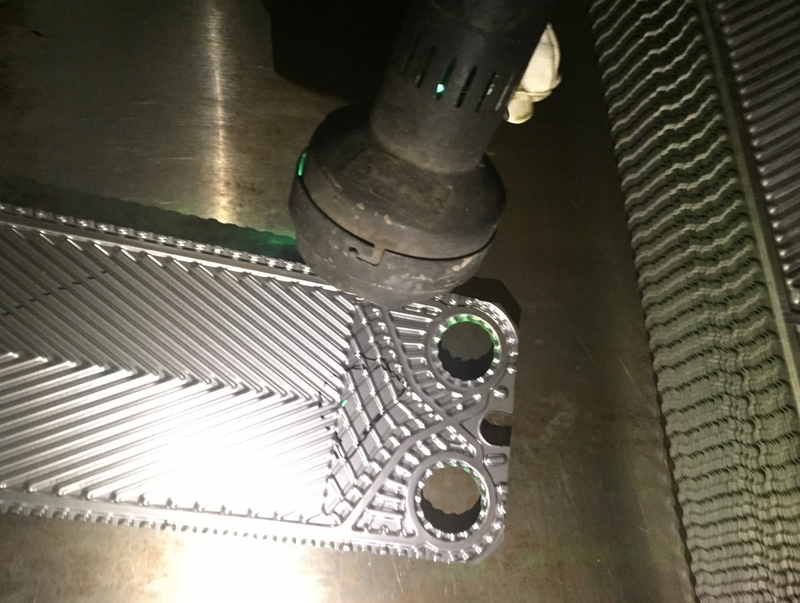 Properly cleaning these plates requires a method of servicing that gently removes the gaskets without further subjecting the plates to undue stress or damage. Servicing and repair usually signals an end of life when it comes to technology. Here at Valutech, however, our Plate Heat Exchanger reconditioning service comes with a good-as-new guarantee. It’s a bold promise, but our association with Alfa Laval gives us access to tools and resources that can give you the edge in both knowledge and efficiency. We’ve written a short guide breaking down our unique and innovative system that allows for the reconditioning and repair of your Plate Heat Exchanger. We’ve likely already discussed things with you in detail, but upon receiving at our service center your units will undergo an arrival inspection to identify both imminent and emerging problems that can get fixed while your Plate Heat Exchanger is in our care. Integral to the functionality of the plate itself, it’s important that the removal of gaskets is done the right way. Dealing with the gaskets too gingerly means that residual glue won’t come off, but too roughly handle their removal and you may risk further damaging the plate upon separation. By dipping the plates in a liquid nitrogen bath at -196°C (-320°F), the glued-on gaskets come off nice and easy without stripping or damaging the plates. After a clean separation of the gaskets, the plates themselves are then dipped into a more intensive chemical bath. When we say good-as-new, we mean it. Having this process carried out under the supervision of certified technicians ensures the chemical balance of the solution is exact, allowing us to effectively restore the plates to a like-new condition. 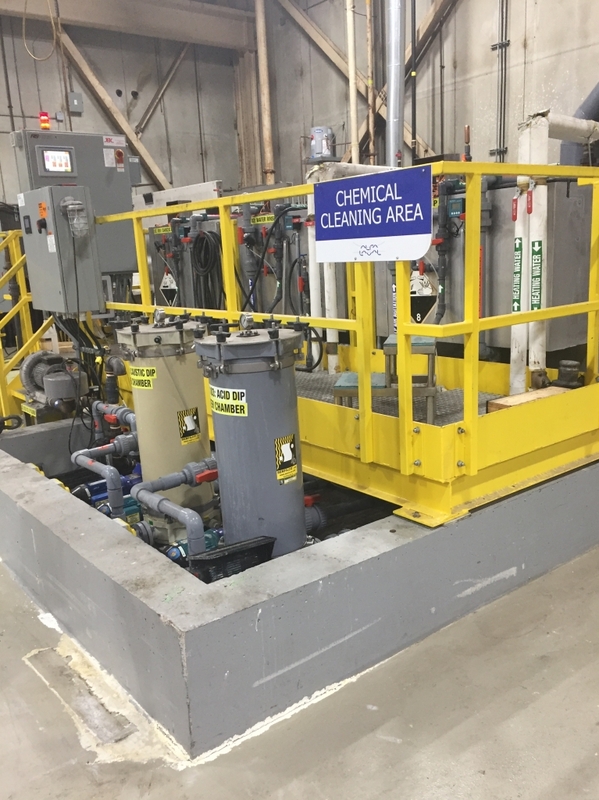 Following the nitrogen primed chemical cleaning, the plates are run through several inspection tests designed to identify a variety of instability issues easily missed by the untrained eye. For example, small cracks and pinhole leaks can occur in the plating that are not commonly visible. Like visiting the dentist to check for cavities, being proactive is all part of the service. During this part of the inspection the plates are sprayed with dye penetrants to observed under ultraviolet lighting or developer. This allows us to fix the leaks and mitigate operational failure upon reintegration of the plate. Upon passing inspection the plates are then pressure washed to remove all traces of the dye coating. From here, we regasket the plates and prepare the unit to be reassembled. Date stamped gaskets are selected from up to date stock and bonded onto the plate with a two-component epoxy resin adhesive (not your average rubber-based cement). The epoxy is oven-cured, securing the gaskets to the plate with a strong bond to ensure that the gaskets don’t produce unexpected leaks. Having experienced technicians servicing your units means you get the right gaskets installed with the right specifications the first time. The plates, having now been cleaned and gasketed like new, are then reassembled within the frame of the Plate Heat Exchanger. Receiving the whole unit for reconditioning means that your service is total, and that everything that needs to be taken care of is. Restoring corrosion protection, and being able to more closely inspect pressurized components, is the final step of our reconditioning process. After servicing the unit, frame, and all it’s components, after re-assembling the parts and tightening all the nuts and bolts to precise specifications, we perform a hydrostatic pressure test to make sure there are no leakages. To conclude, you are provided with a detailed service report that shows what took place, potential issues regarding the unit that should be brought to your attention, and professional advice on future maintenance. Giving you the information you need to make informed decisions about the technology you depend on is the most important benefit of reconditioning your Plate Heat Exchangers, and what makes Valutech your ideal partner in productivity. AlfaCheck testing can provide an accurate estimates when it comes to gradual fouling and deterioration, without the need for a dis-assembly of the Heat Exchanger or an inspection of the unit’s individual parts. The specialty equipment is rigged up to the exchanger’s pipes to collect data on both temperature fluctuations and media flow. Data collection is a mere matter of hours and afterward, Alfa Laval engineers synthesize the findings into an easy to understand report that tells you if reconditioning is not necessary, immediate, or still a ways off. Taking the guesswork out of this process means that maintenance can be scheduled at your convenience, before problems arise or an emergency occurs. Rolling the dice with safety and productivity simply isn’t worth it; time is money, and the resulting downtime from neglected issues is something you can plan for. Putting your data to work for you means that cleaning and reconditioning can become part of your plan—something on your radar. With AlfaCheck, profitability becomes as perfectly planned as a date on the calendar. Hit the ground running by having us set up your equipment for you! Valutech is in a position to provide prompt and professional installation. Having specialists on-site to install or supervise ensures reliability and safety, while putting decades of experience right at your side.